Thank you for your interest in Cook Medical’s difficult airway products. The product information on this website is intended for physicians and healthcare professionals in the United States. Some products may not be available in your region. Contact your Cook sales representative for product availability in your location. Intended for uncomplicated, atraumatic endotracheal tube exchange. The blunt tip of the catheter is atraumatic to internal structures. The lumen and distal sideports are designed to deliver oxygen. 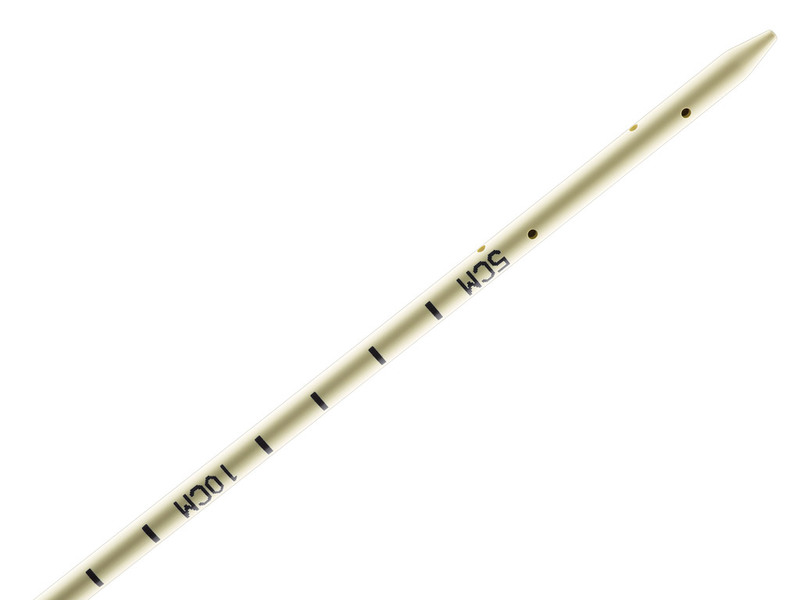 The centimeter markings facilitate accurate alignment with endotracheal tubes. The removable Rapi-Fit® Adapters permit oxygen delivery during an exchange procedure, if necessary. Find ordering information and other resources for this product at cookmedical.com. CAUTION: U.S. federal law restricts this device to sale by or on the order of a physician (or properly licensed practitioner). INTENDED USE: The Cook Airway Exchange Catheter is intended for uncomplicated, atraumatic endotracheal tube exchange. WARNINGS: Attention should be paid to insertion depth of catheter into patient’s airway and correct tracheal position of replacement endotracheal tube. Markers on the Cook Airway Exchange Catheter refer to distance from tip of catheter. Catheter and endotracheal tube should not be advanced beyond the carina. • Ensure proper sizing of the Cook Airway Exchange Catheter within a double-lumen endotracheal tube. Failure to do so may cause small fragments to be shaved off during removal of the Cook Airway Exchange Catheter. • To avoid barotrauma, ensure that the tip of the CAE catheter is always above the carina, preferably 2-3 cm. See package insert for full product information. The blunt, soft, and flexible tip of the catheter is atraumatic to internal structures. The distal section of the catheter is flexible. 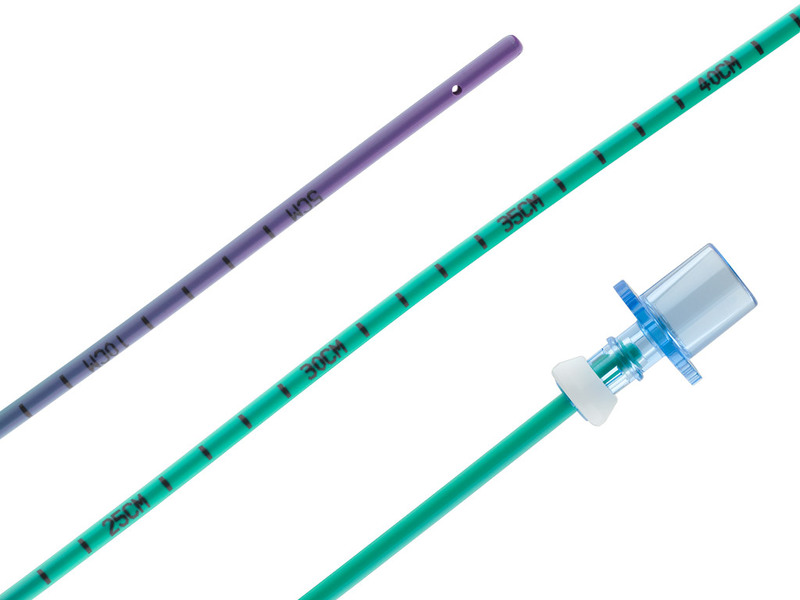 The extra-firm catheter facilitates the exchange of double-lumen shaft tubes. Intended for the exchange of laryngeal mask airways and endotracheal tubes using a fiberoptic bronchoscope, bronchoscopic port, wire guide, and exchange catheter. The set may be used for emergency, urgent, and elective airway management. Use of a bronchoscope enhances visualization to facilitate clearer navigation through the patient’s anatomy. 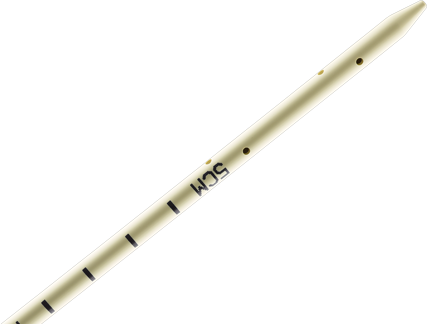 The wire guide can be inserted through the working channel of the bronchoscope, which allows acute angles to be maneuvered. The removable Rapi-Fit® Adapters permit the use of an oxygen source during an exchange procedure, if necessary. INTENDED USE: The Arndt Airway Exchange Catheter Set is intended for the exchange of laryngeal mask airways (LMA) and endotracheal tubes using a fiberoptic bronchoscope, bronchoscopic port, wire guide and exchange catheter. The product may be used for emergency, urgent and elective airway management. The removable Rapi-Fit Adapter permits use of ventilatory device, if necessary, during exchange procedure. WARNINGS: Attention should be paid to insertion depth of catheter into patient’s airway and correct tracheal position of replacement endotracheal tube. Markers on the exchange catheter refer to distance from tip of catheter. Catheter and endotracheal tube should not be advanced beyond the carina. 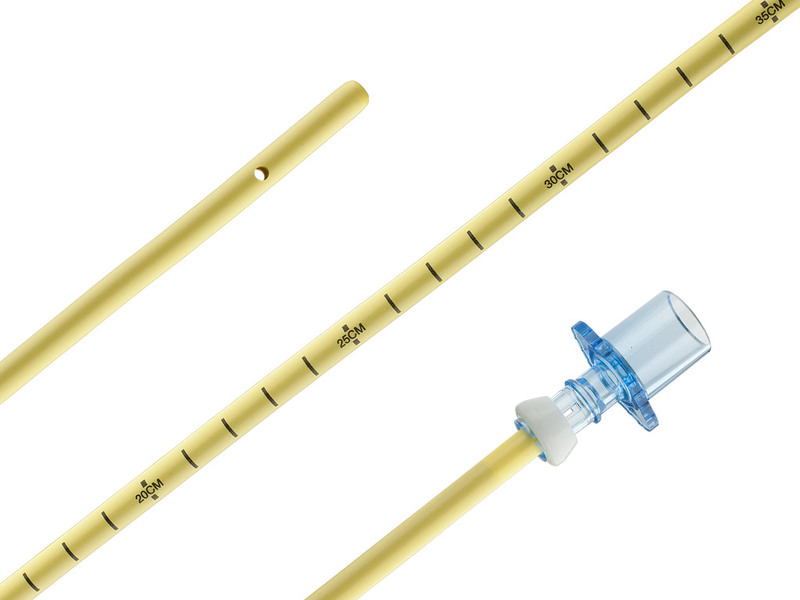 • Ensure proper sizing of the exchange catheter within a double lumen endotracheal tube. Failure to do so may cause small fragments to be shaved off during removal of the exchange catheter. Cook’s comprehensive product offerings also cover intubation and emergency airway access. © 2018 Cook Medical. All Rights Reserved. Sign up for email about news, products, and events from Cook Medical.